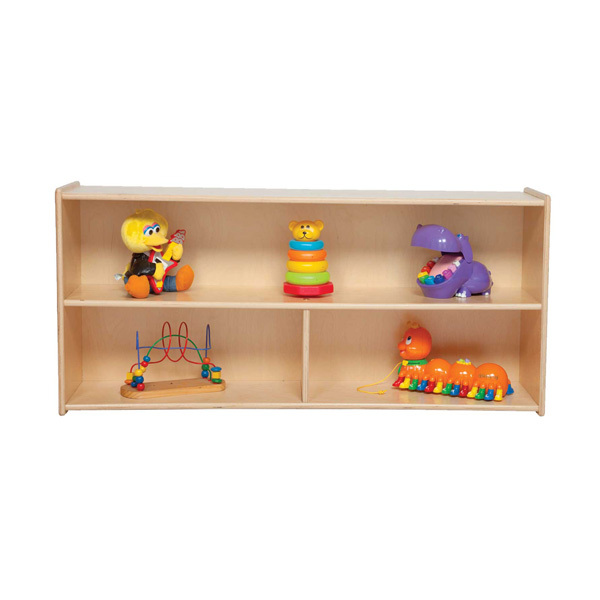 The Contender Storage Cabinet keeps toys and books accessible and within preschoolers' reach. This durable classroom storage cabinet features an open upper shelf and two lower compartments. It's constructed of 100% Healthy Kids™ Plywood and finished with environmentally-friendly Tuff-Gloss. Mortise and secure fastener construction lends exceptional strength for childcare environments. Wood Designs' Contender Storage Cabinet is GREENGUARD® certified and made in the USA. The Contender Storage Cabinet keeps toys and books accessible and within preschoolers' reach. This durable classroom storage unit is divided into five compartments, giving you ample space to store classroom essentials. It's constructed of 100% Healthy Kids™ Plywood and finished with environmentally-friendly Tuff-Gloss. Mortise and secure fastener construction lends exceptional strength for childcare environments. Wood Designs' Contender Storage Cabinet is GREENGUARD® certified and made in the USA. Contender Storage Cabinets keep toys, books and games accessible and within preschoolers' reach. Each durable classroom storage unit is constructed of 100% Healthy Kids™ Plywood and finished with environmentally-friendly Tuff-Gloss. Mortise and secure fastener construction lends exceptional strength for childcare environments. Wood Designs' Contender Storage Cabinets are GREENGUARD® certified and made in the USA. Choose from several sizes. If you have any questions about our preschool storage cabinets, don't hesitate to call us at (877) 839-3330. Our friendly sales team is glad to help.